Depending on where you live, you can expect temperatures in Canada to range anywhere from 0ºC to -23ºC at the beginning of the year. Brrr!! This is not the time you want to be without heat. Yet, since this is when you use your heater or furnace the most, it’s also when repair issues are most likely to surface. In this post, learn about the 10 most common causes of heat and furnace repair so you can spot them and nip them in the bud! If your filters get dirty or, even worse, completely clogged, your heater will struggle to push through sufficient air to heat your living space. Left unaddressed, this simple maintenance repair can damage your fan motor's limit switch, which becomes a much more expensive repair. It should go without saying that a dirty or clogged filter can also quickly become a fire hazard. Over time, some of your heater's parts may begin to break down. Belts, bearings, filters, motors, switches, fan blades, pilot and burners—all should be regularly checked to ensure they are in good working order. The thermostat is like the brain of the heater or furnace. It tells your heater what temperature you want it to maintain throughout your living space and also how often to turn on in order to maintain that temperature. When the thermostat malfunctions, your heater itself may still be in good working order, but it won't matter because it is no longer receiving the right instructions. When the pilot control or ignition ceases to work, you won't be able to generate any heat even if the rest of your system is in pristine condition. There are several types of ignition systems, including gas- (hot surface) and electric-powered (electrical spark) systems. Here, for safety reasons, it is best to have an HVAC professional take a look. Because your heater includes a fan and a blower, it is normal for it to make some noise when it is running. But if you begin to hear strange or intermittent sounds like clangs, bangs, rumbles, rattles, squeaks, or other noises, this can indicate all kinds of potential problems. Your heater may have ingested outside debris or been inhabited by household visitors. There may also be loose or detached parts. If your heater always seems to be cycling rapidly rather than running for a time and then staying off for a time, this is not typically normal heater behavior. A service call may unveil any number of issues, from a malfunctioning thermostat to a fan motor or dirty filter, that could be to blame. Sometimes no matter how long your heater runs, it feels like the space never gets warm enough. This is particularly the case in severe temperature extremes, since most HVAC systems are set up to work well within a baseline temperature range. If temperatures are within normal range and your space still isn't heating properly, the reason may relate to a dirty or clogged filter, thermostat malfunction, inadequate power for the space to be heated, or similar issues. If, however, it has become unusually cold, it may simply be that your heater cannot keep up with the cold seepage without help (for instance, the addition of a heating blanket, space heaters, fireplace fire, etc.). If your electric heater continually resets the thermostat setting, this may indicate a thermostat problem or could potentially relate to interruptions in the source of electric power to the heater or a tripped circuit. If your gas heater is not working, this could also relate to an interruption of gas power to the heater. There may also be a problem with the flame sensor or gas pipe valve. There is some routine maintenance that simply needs to be done regularly in order to keep any type of heater in prime working condition. 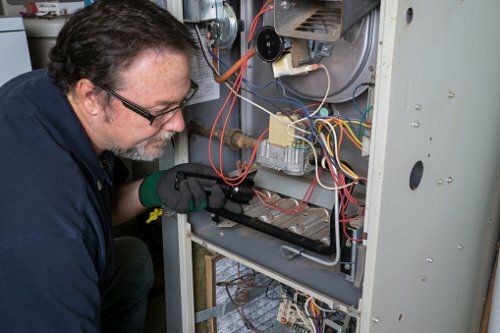 From timely replacement of certain parts that tend to wear out, to lubrication of certain types of motors, to cleaning out debris and filters, to simple tightening of bolts and screws, these small maintenance actions can make the difference between a trustworthy or malfunctioning furnace when winter's chill hits. Finally, sometimes all seems well with your heater itself, in that it is heating the space adequately as needed, but when you go to pay your monthly utility bills you get a bad case of sticker shock. This can indicate there is more going on with your heater than meets the eye. Increased energy consumption can indicate your heater is underpowered, dirty, or damaged in some way. Because it can be quite difficult to troubleshoot the real issue from such a general angle, this is a situation in which calling on the services of an HVAC professional who can clean, maintain, and/or repair your heater plus do an energy audit can be the best choice. Finally, it will ultimately be your call whether to take a do-it-yourself approach to heater/furnace maintenance and repair or bring in an HVAC professional to take care of this for you. However, given the high incidence of home fires that are linked to poorly maintained HVAC systems, it is always wise to have at least an annual maintenance inspection and routine cleaning to be sure you and your family are safe when winter arrives. 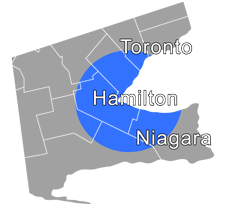 To schedule a consultation, please contact us by phone at 905-544-2470 or online.